If you’re looking for a legitimate work from home job or extra income with no experience necessary, here are 21 options open now. Mystery Shoppers – KSS; see their Facebook page for more assignments. Survey Takers – Ipsos pays rewards in gift cards and cash. ♥ Share the love! If you know someone looking for “no experience necessary” work, please share the post. They’ll love you and we will too! Thanks! This entry was posted in Earn Extra Cash, No Experience Necessary, Work at Home Jobs and tagged InteliChek, MaritzCX, Vocalabs. Bookmark the permalink. 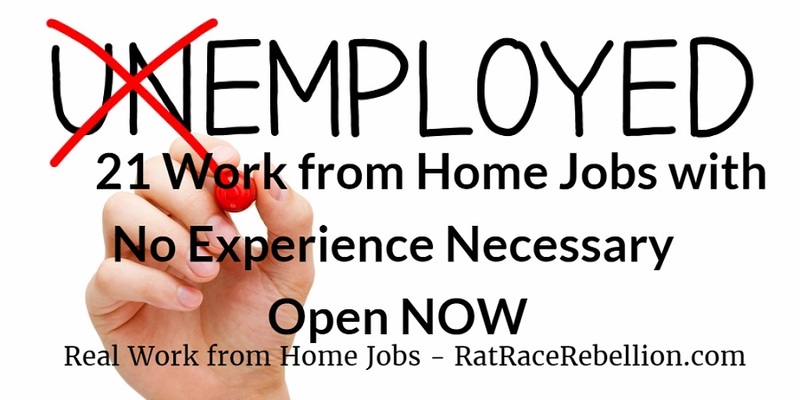 ← 70 More Work from Home Jobs OPEN NOW!